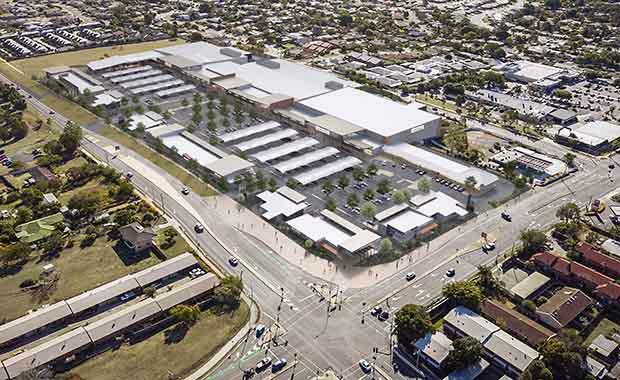 Coles and Target have announced as the anchor tenants for the first stage development of the new Redbank Plains Super Centre in Ipswich. David Watson, Capital Transaction Managing Director, said the two stage project would quadruple the size of the existing centre to nearly 28,000 square metres, turning it into a sub-regional centre and community hub servicing the rapidly growing eastern suburbs of Ipswich. Capital Transaction and Alceon purchased Redbank Plains Shopping Village, comprising a 5,900 square metre neighbourhood centre anchored by Woolworths and an adjoining four hectares of undeveloped land fronting Redbank Plains Road. Construction of the 18,000 square metre Stage 1 development will begin in the first quarter of 2015 and opened by Easter 2016. Coles and Target will be supported by 3,000 square metre of big box retail, specialty retailing and a casual dining precinct. Stage 2 includes the expansion and integration of the existing Woolworths centre, creating a master planned hub for the community. “Our commitment is to provide a retail offering with a point of difference to other centres, that meets the needs of the Ipswich community but also adds to the social capital of the area,” Mr Watson said. Mr Watson said 900 car spaces will be created across the ground floor and a lower level, and Ipswich City Council will upgrade major access road Redbank Plains Road East to four lanes. “The retail village will have distinct precincts – a financial and services precinct, a specialty retail precinct, and a casual dining precinct,” he said. Alceon Director Todd Pepper said the commercial upside for the project was significant. “The development is a response to the continued growth in population in the eastern suburbs of Ipswich, more than three times the Queensland and Australian averages,” he said.